The Victoria Cross (VC) was awarded 628 times to 627 recipients for action in the First World War (1914–1918). 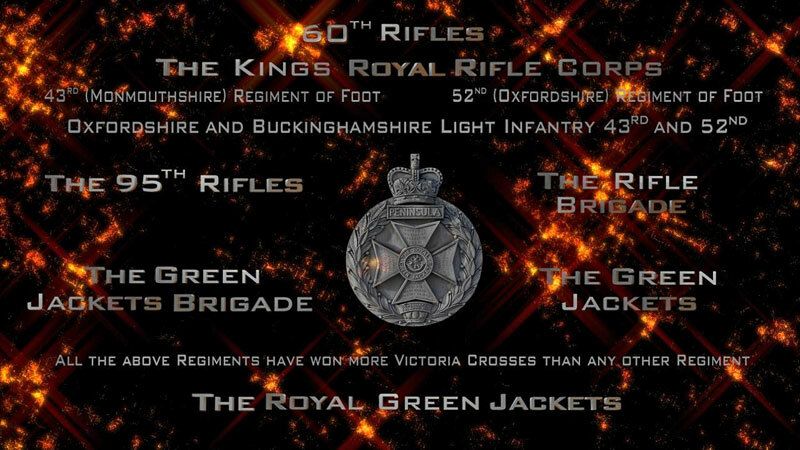 The Victoria Cross is a military decoration awarded for valour “in the face of the enemy” to members of armed forces of some Commonwealth countries and previous British Empire territories. It takes precedence over all other Orders, decorations and medals; it may be awarded to a person of any rank in any service and to civilians under military command. The award was officially constituted when Queen Victoria issued a warrant under the Royal sign-manual on 29th January 1856 that was gazetted on 5th February 1856. The order was backdated to 1854 to recognise acts of valour during the Crimean War. The first awards ceremony was held on 26th June 1857, where Queen Victoria invested 62 of the 111 Crimean recipients in a ceremony in Hyde Park. The Victoria Cross was awarded 182 times to 181 recipients for action in the Second World War. The war, also known as World War II (WWII), was a global military conflict that involved a majority of the world`s nations, including all of the great powers, organised into two opposing military alliances: the Allies and the Axis. The war involved the mobilisation of more than 100 million military personnel, making it the most widespread war in history. In a state of “total war”, the major participants placed their entire economic, industrial, and scientific capabilities at the service of the war effort, erasing the distinction between civilian and military resources. Throughout the six-year duration of the war, weapons and technology improved rapidly, including the use of jet aircraft, radar and nuclear weapons. More than 70 million people, the majority of whom were civilians, were killed, making it the deadliest conflict in human history. The start of the war is generally held to be 1 September 1939, with the German invasion of Poland and subsequent declarations of war on Germany by most of the Crown Colonies of the British Empire and Commonwealth, and by France. The first Victoria Cross of the war was awarded to Gerard Roope for action whilst in command of HMS Glowworm. The war at sea began immediately after war was declared with the Battle of the Atlantic, in which German U-Boats attempted to disrupt and destroy allied convoys. Throughout the war the Royal Navy was tasked with guarding vital shipping lanes and enabling amphibious operations across the globe; the St Nazaire Raid saw five Victoria Crosses awarded. The Battle of the Mediterranean was fought throughout the war and included the Battle of Taranto and Battle of Matapan, as well as protecting convoys including the Malta convoys. In total, 23 servicemen from the Royal Navy were awarded the Victoria Cross including one Royal Marine. Aerial Warfare came into its own in World War II with several distinct roles emerging. The role of fighter planes developed during the Battle of Britain, where the Royal Air Force fought for air superiority against the Luftwaffe. The Battle of Britain was the first major campaign to be fought entirely by air forces. It was the largest and most sustained bombing campaign up until that date. Initially, RAF airfields were attacked, however as the battle progressed, operations were extended to the strategic level with The Blitz. Britain also conducted controversial strategic bombing campaigns in Europe and Asia; they involved hundreds of aircraft dropping tens of thousands of tons of munitions over a single city. Tactical strikes were also carried out by the RAF including Operation Chastise, where No.617 Squadron RAF attacked German dams in the Ruhr valley using ” bouncing bombs”; Guy Gibson was awarded the Victoria Cross for this action. The war on the land did not begin until May 1940, as Britain and France were involved in a so-called Phoney War between Germany and the Franco-British alliance. The phoney war ended with the Battle of France where Germany invaded Benelux and subsequently France, which forced British troops to escape from Dunkirk. In 1941, war spread to the Middle East and North Africa as well as the East African Campaign. The United States officially joined the war in December 1941 after the Japanese Attack on Pearl Harbor. In 1942, British forces under Lieutenant General Bernard Montgomery defeated the Axis forces of General Erwin Rommel in the Second Battle of El Alamein, which marked a major turning point in the Western Desert Campaign and the North African Campaign. It ended Axis hopes of occupying Egypt, taking control of the Suez Canel, and gaining access to the Middle Eastern oil fields. Nine VCs were awarded for action in the Western Desert Campaign. By 1943, the war was being fought in several theatres, including the Pacific, North Africa and Southeast Asia. The Burma Campaign of the Pacific War took place from 1942 to 1945, and saw 29 Victoria Crosses awarded. By 1944 and the Allied invasion of Normandy, the Allies were making ground in several theatres including advances in the Burma Campaign. In Europe, the unsuccessful raid on Arnhem saw five soldiers awarded the Victoria Cross, four posthumously. In May 1945, the Allies accepted the unconditional surrender of German forces, celebrated with Victory in Europe Day. The war in the Pacific was ended with the surrender of Japan on board USS Missouri on 2 September 1945. Charles Upham received the Victoria Cross and Barr; two awards for two acts. Upham was only the third recipient of the Victoria Cross and Bar, and the first for combatant actions; the previous two recipients were medical officers of the Royal Army Medical Corps. 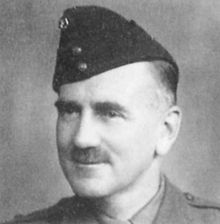 John Beeley VC (8th February 1918 – 21st November 1941) was an English recipient of the Victoria Cross, the highest and most prestigious award for gallantry in the face of the enemy that can be awarded to British and Commonwealth forces. Beeley was 23 years old, and a rifleman in the 1st Battalion The King`s Royal Rifle Corps of the British army during Operation Crusader in the Second World War when the following deed took place for which he was awarded the VC. On 21st November 1941 at Sidi Rezegh, Libya, at an airfield being attacked by Rifleman Beeley’s company, progress was held up by short range fire. All the officers of the company were wounded so, on his own initiative the rifleman ran forward over open ground, firing his Bren gun and at 20 yards range put an anti-tank gun and two machine-guns out of action. He was killed but his bravery inspired his comrades to further efforts to reach their objective, which was eventually captured, together with 100 prisoners. He is buried in the Knightsbridge War Cemetery, Acroma, Libya. His Victoria Cross is displayed at the RGJ / Rifles museum at the former Peninsula Barracks. Lieutenant-Colonel Victor Buller Turner VC,CVO (17th January 1900 – 7th August 1972) was an English recipient during the Second World War of the Victoria Cross, the highest and most prestigious award for gallantry in the face of the enemy that can be awarded to British and Commonwealth forces. His older brother Alexander had previously been awarded a posthumous VC during the First World War. Victor was born in Reading in Berkshire, the son of Major Charles Turner of the Royal Berkshire Regiment and his second wife, Jane Elizabeth, only daughter of Admiral Sir Alexandra Buller. He was the younger brother of Second Lieutenant Alexandra Buller Turner VC and had a family connection with General Sir Redvers Buller VC. 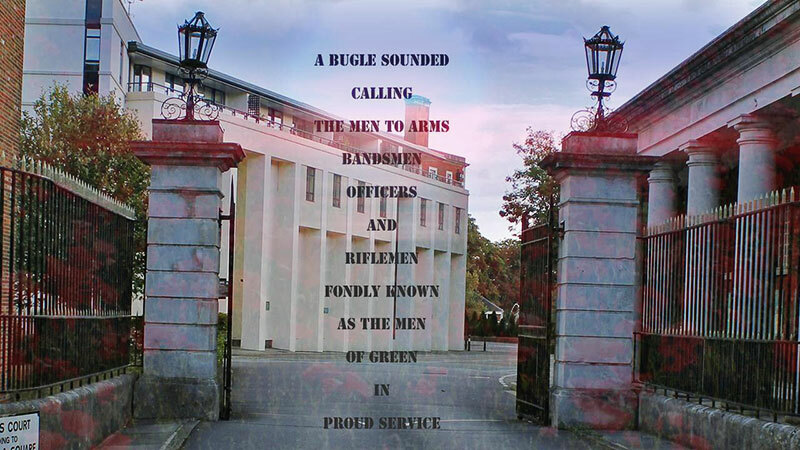 He was educated at Wellington Collage and the Royal Military Collage Sandhurst before commissioning as Second Lieutenant in the Rifle Brigade in 1918. He served in the campaign in Iraq in 1919–20, was promoted Major in 1938 and Lieutenant-Colonel in 1942 while serving in the Middle-East before the act in which he won the VC. 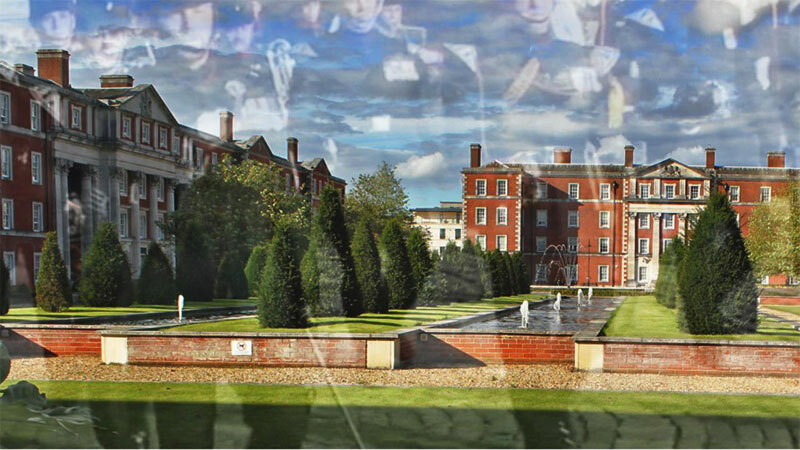 He lived at Thatcham House before moving to Suffolk after the war and retired from the army in 1949. In 1950 was appointed to the Royal Household receiving a position in the ceremonia King`s Bodyguard of the Guard of the yeoman of the Guard and rose to be “Clerk of the Cheque and Adjutant” of the Guard in 1955. He was appointed Commander of the Royal Victorian Order (CVO) in 1966 in connection with his services to the Royal Household and was promoted to Lieutenant of the Queen’s Bodyguard in 1967. He was 42 years old, and a temporary lieutenant colonel in The Rifle Brigade of trhe British Army during the Second World War when the following deed took place for which he was awarded the VC. On 27th October 1942, at El Aqqaqir (Kidney feature), Western Desert, Eygpt, during the Second Battle of El Alamein, Lieutenant Colonel Turner was commanding a battalion of the Rifle Brigade. After overcoming a German position, the battalion fought off desperate counter-attacks by 90 tanks, destroying or immobilising more than 50 of them. During the action, one of the 6-pounder guns was left with only one officer and a sergeant, so Colonel Turner joined them as loader, and between them they destroyed another five tanks. Not until the last tank had been repulsed did he consent to having a wound in his head attended to. “ Major (temporary Lieutenant-Colonel) Victor Buller Turner (17630), The Rifle Brigade (Prince Consort’s Own) (Thatcham, Berks). For most conspicuous gallantry and devotion to duty on the 27th October, 1942, in the Western Desert. Lieutenant-Colonel Turner led a Battalion of the Rifle Brigade at night for 4,000 yards through difficult country to their objective, where 40 German prisoners were captured. He then organised the captured position for all-round defence; in this position he and his Battalion were continuously attacked from 5.30 a.m. to 7 p.m., unsupported and so isolated that replenishment of ammunition was impossible owing to the concentration and accuracy of the enemy fire. During this time the Battalion was attacked by not less than 90 German tanks which advanced in successive waves. All of these were repulsed with a loss to the enemy of 35 tanks which were in flames, and not less than 20 more which had been immobilised. Throughout the action Lieutenant-Colonel Turner never ceased to go to each part of the front as it was threatened. Wherever the fire was heaviest, there he was to be found. In one case, finding a solitary six-pounder gun in action (the others being casualties) and manned only by another officer and a Sergeant, he acted as loader and with these two destroyed 5 enemy tanks. While doing this he was wounded in the head, but he refused all aid until the last tank was destroyed. His personal gallantry and complete disregard of danger as he moved about encouraging his Battalion to resist to the last, resulted in the infliction of a severe defeat on the enemy tanks. He set an example of leadership and bravery which inspired his whole Battalion and which will remain an inspiration to the Brigade.